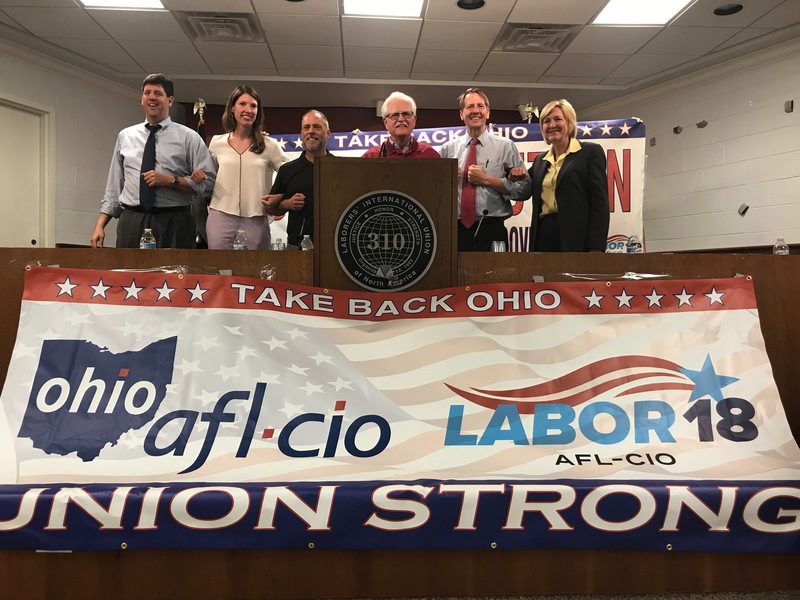 Ohio unions are under attack and need to be strengthened, Richard Cordray, the Democratic candidate for Ohio governor, told a convention of plumbers and pipefitters in Dayton on Thursday. Cordray brought a message tailor-made for unions to the convention at the Dayton Marriott, essentially rejecting any attempt to establish “right to work” laws in Ohio or to weaken “prevailing wage” laws on construction projects. He also took aim at an apparent lack of federal progress on infrastructure improvements, saying it will be up to Ohio to address infrastructure needs.